There are many seemingly insignificant things that could potentially ruin your relationship with your significant other. For example, my parents had to go into couples therapy after a particularly emotional game of Monopoly. Life is full of trip wires and relationship land mines that you step on from time to time, but after a knock-down fight, things usually return to normal. However, imagine if 15 of those land mines all exploded during one two-hour-long trip to a home furnishing store? Would your relationship survive? That, in essence, is what a trip to Ikea is for most couples, which is why the Wall Street Journal‘s article on the subject made such a splash. A day at Ikea can rattle even the most stable relationships, because it’s essentially a complex labyrinth of emotional hot buttons. Hilary Potkevitz wrote on the Wall Street Journal, “You walk into an Ikea and all the rooms are set up to ask you to envisage your best life. If you’re having any issues in your relationship, those are in your mind. You walk in through the bedroom section and if you’re having trouble in the bedroom, you’re thinking about that.” It’s like the ultimate relationship obstacle course — if you make it out in one piece, you know you can probably make it through anything. According to Potkeveitz’s article, even therapists feel like Ikea is a veritable Pandora’s box of relationship problems. It’s really unfortunate that Ikea sparks such hostility in couples considering how helpful a place it is for home improvement. I definitely have a certain amount of anxiety in association with trips there, but always find reasons to go back, even if I left the last time crying over a planter my boyfriend said I didn’t need. It’s like a powerful drug in that way — the same sort of bad/annoying things happen every time we go, and yet it never deters us from returning for that garbage can we forgot to get last time. 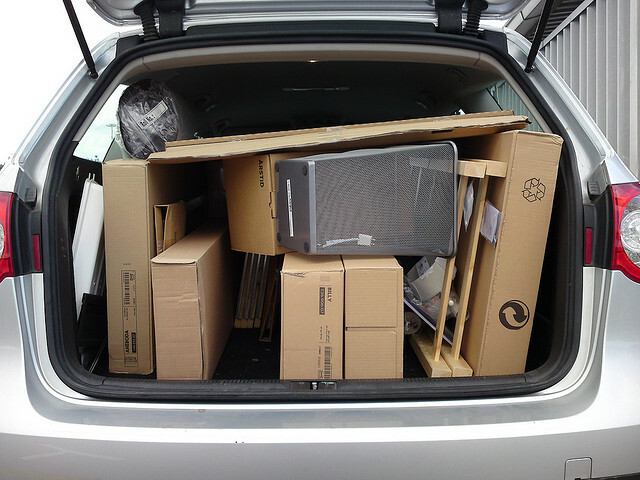 Here are the nine things that tend to happen when you go to Ikea with your sig-o. If you can think of others, please leave them in the comments below. The more we map this out, the better it will be for future couples. Whether you’re ordering new kitchen cabinets, or just getting a cheese grater, you will get lost at least once. The trick here is take a deep breath, and look around for exit signs. Whatever you do, don’t jump into the blame game. It’s neither of your faults. 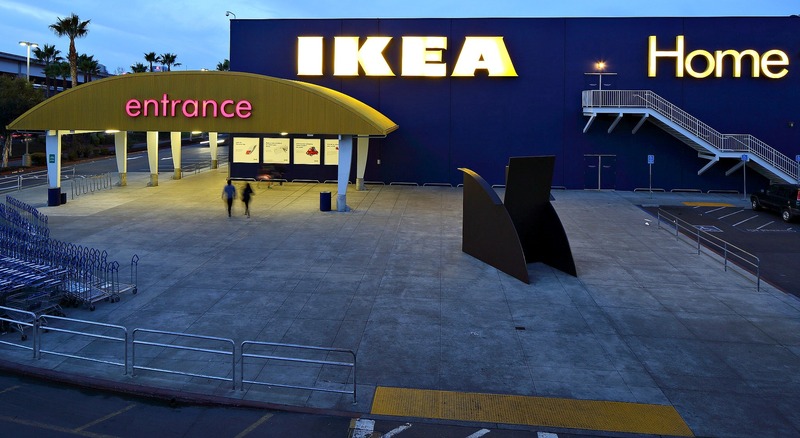 It’s the Ikea’s fault — aka, the Devil’s Snare. It wants you to yell at each other because it feeds off of negative energy, like the eye of Sauron. Oh sure, you’ll go there with a clear idea of what you need to get. You may even bring a list, but the second you hit that Market Hall, that list will mysteriously disappear, and you’ll go on a random shopping rampage. Don’t panic — it’s always better to end up with a bunch of wine glasses you don’t need than without the desire to have children with your fiancé. It definitely said this Ikea had it in stock online, so why isn’t it here?! Probably because the stock people at Ikea have better things to do than update their online stock inventory. My initial instinct is to take out my frustration on the person nearest to me (my boyfriend), but as we’ve learned above, that’s how relationships end. Instead, remember, it’s always Ikea’s fault and no one else’s. Also you’ll likely find a perfectly acceptable substitute for whatever you needed in the next bin. 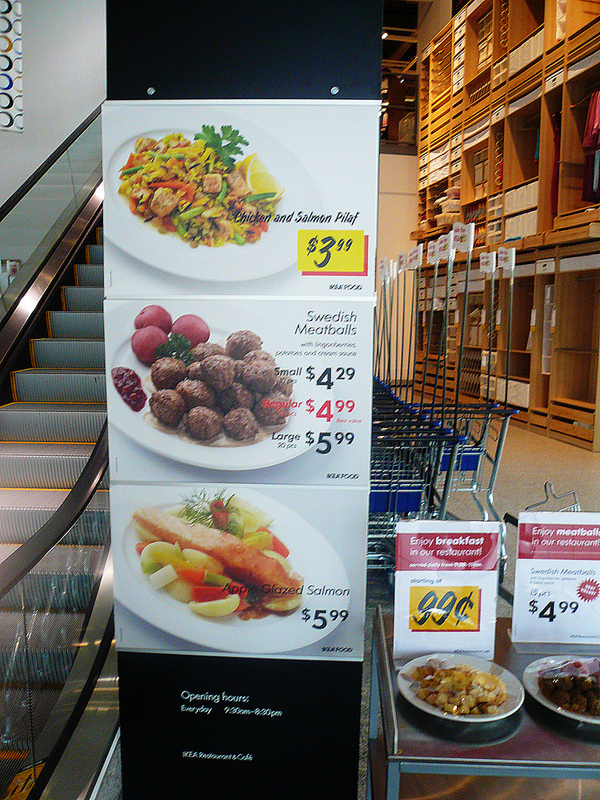 Especially if you’re at the Ikea in Brooklyn. All you can do is go in there knowing it’s going to take a while, and people are going to be jerks. I can’t begin to express the frustration I’ve felt when I realized we had to take our new furniture to Home Delivery (otherwise known as hell’s waiting room). If you came in the early afternoon, it will be very dark by the time you actually leave. Repeat after me: This is OK. It’s better for everyone if no one has a low blood sugar situation mid trip. Accept the things you cannot change, and play a fun, distracting game while you watch hundreds of people’s items get price-checked. And if you’re both doing OK at that moment, it will remind you how much you love each other. You’ll look into each other’s eyes as if to say, “We’ll never be like that.” Until one of you forgets to grab the tool kit you need to construct everything. Then all bets are off. No, that bookshelf actually needs four of those large screw-like things in each shelf to be secure. Remember, you’re more likely to be killed by your furniture than a terrorist, so don’t get mad when your sig-o suggests you wait until you get the proper ones. She’s trying to save your life.